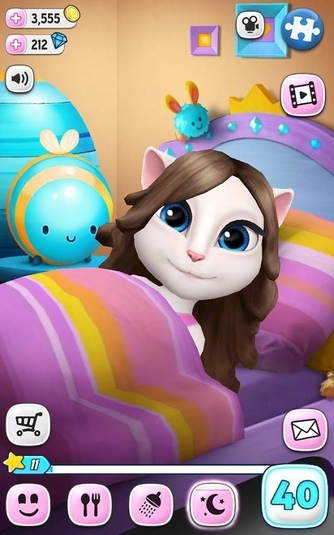 Take care of an adorable kitty in this virtual pet game. 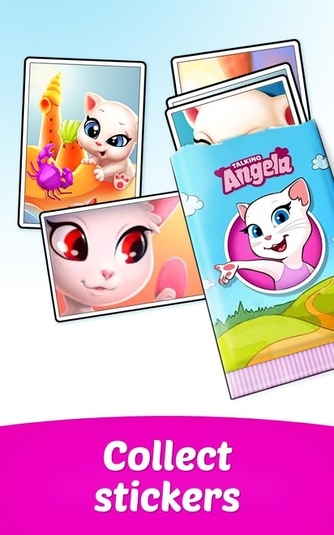 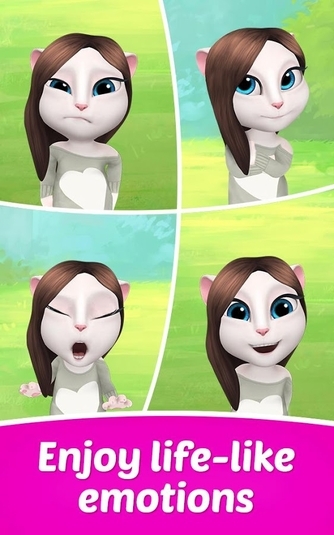 Developed by Outfit7, this free app for Android devices lets you take care of Angela, a beautiful white-haired cartoon cat. 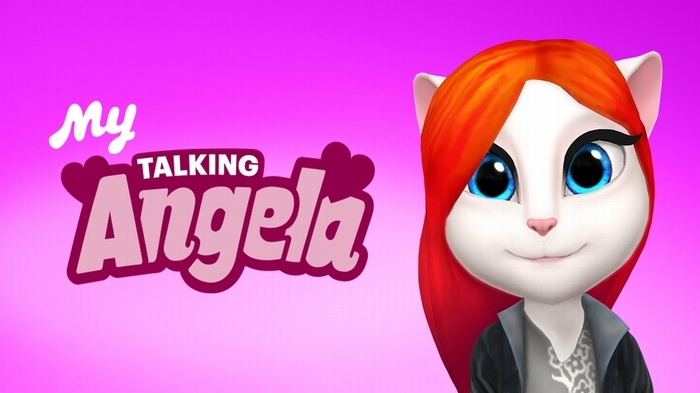 Interact with Angela by grooming and dressing her, and play mini-games within the app. 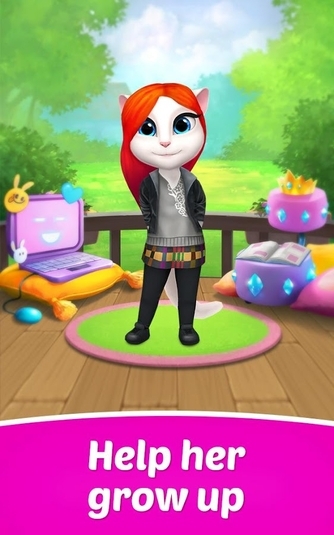 By completing tasks, you earn in-game stickers that you can save in a virtual sticker album to collect or to trade with other players. 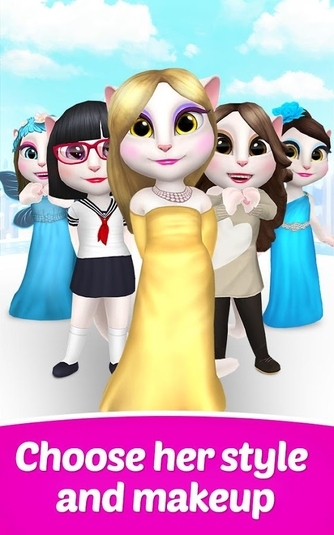 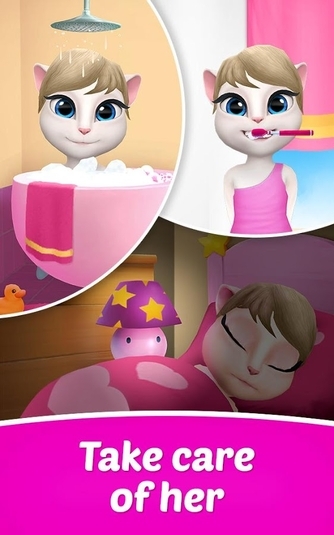 This app is appropriate for all ages of children, and in fact kids will probably enjoy it, especially if they like the pink color scheme and girly character. 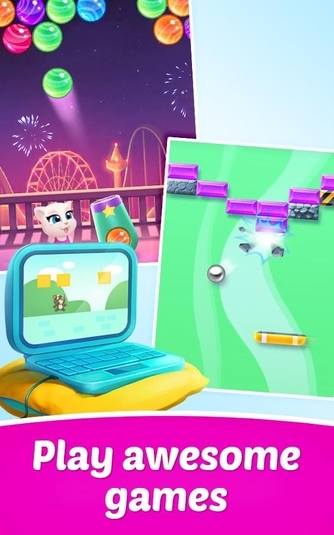 Graphics are high quality and it's an easy game to play.